When Gaius Julius Caesar took on the role of general in the Roman Republic army, he came across as a man of many talents. From his early days of being part of the First Triumvirate along with Pompey and Crassus, to becoming a dictator after defeating the last remaining forces of Pompey in 46 BC, Caesar won the popular vote of the Roman public. He carried out an impressive transition from the lifestyle of a military commander into a truly capable political leader. Furthermore, unlike his predecessors who had led the Roman Republic, Caesar showed an passionate concern for the Roman public. He introduced a number of reforms to better the lives of the common people which earned him a lot of praise and favor among the Roman public. He brought grain to poor urban areas and offered land to all the retired veterans from his many legions. These reforms made him popular with the people, but rang alarm bells among his enemies and Senate members. Such was his might, and the general public’s support for him that even when he became a self-declared dictator, there wasn’t much the Senate could do about it. It was clear to the Roman Senate that the rise of Caesar as a dictator for life meant the end of the Roman Republic. Caesar had many enemies in the Senate who despised his audacity in dismantling the republic all by himself, but their hands were tied as Caesar had the popular support of the general public and the army. It was right around this time, as a last-ditch attempt to save the republic, that certain members of the Senate decided to take matter into their own hands. The conspirators rarely met openly and would meet a few at a time at each other’s houses to carefully plan their attack. In fact, they discussed all possible places in which to carry out the fatal attack on Caesar, making sure he had no chance of survival. After working through all possible options, they decided to act while Caesar sat in the Senate. 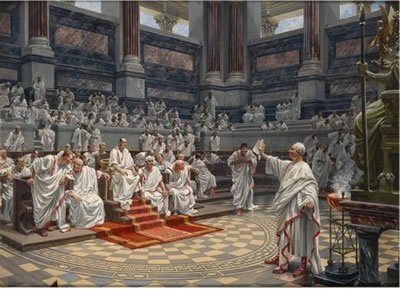 Caesar could not bring his guards in, as non-Senate members were not allowed and the conspirators could easily carry daggers hidden beneath their togas. One thing the conspirators could not do anything about were the rumors that had started to circulate, warning Caesar’s friends, family, and well-wishers of imminent danger. Caesar’s friends had their suspicions that the Senate was up to something, and his wife was frightened by visions and nightmares. She was determined to keep Caesar from entering the Senate on that particular day. In fact, it was Brutus who convinced Caesar to ignore all this “foolishness” and carry out his duties by attending as usual. Right before entering the chamber, the priests brought victims for him to sacrifice in routine rituals. It is said they noticed something was clearly amiss about the day and its proceedings. They wanted to make another sacrifice to see if their feelings about that ill-fated day became any clearer. But much to the relief of the conspirators, Caesar was annoyed by all this hassle and abandoned any further sacrifices until sunset. He then proceeded to enter the chamber to take his seat in the Senate. 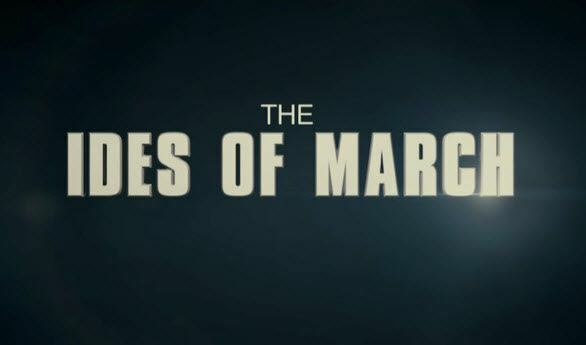 There is a reason why reports of the assassination of Julius Caesar usually come with the tagline, “Ides of March.” Back in those days, the Romans did not count the days in sequence like we do today, but instead counted the days of each month backwards from three fixed points. These fixed points were Nones, Ides, and Kalends. Ides represented the middle of the month and occurred on the 15th day of the months of March, May, July, and October, and on the 13th day for the remaining months. Julius Caesar had planned to leave Rome on further campaigns on March 18. The Senate realized they could not wait any longer for he would come back even stronger if he succeeded. After carefully mulling over their options, March 15, 44 BC was decided on as the final date. They would wait for him to take his seat in the Senate at the Theater of Pompey on the Ides of March to launch their surprise attack. 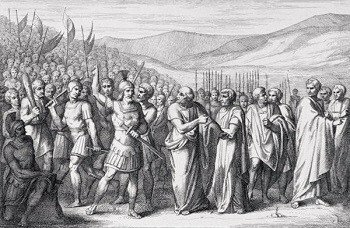 On the Ides of March, Caesar was accompanied by a number of Senate members on his way to the Theater of Pompey. The Senate rose as he entered, and the plotters positioned themselves well within his vicinity. It was Tillius Cimber who set the wheels in motion. He grasped Caesar’s toga under the pretext of submitting a plea on behalf of his exiled brother. This sudden contact at such close proximity startled Caesar, and at that moment, the remaining conspirators took out their daggers and lunged at him. Casca stabbed him first in the left shoulder. An utterly shocked Caesar tried to defend himself, but he was surrounded by the attackers and there was no way out. Cassius dealt another blow to his face and Decimus Brutus drove his dagger into his ribs. The attackers stabbed him 23 times that day. Caesar had now been brutally murdered and his body lay at the foot of a statue of his late arch-nemesis Pompey. Right around when Tillius Cimber grabbed his toga to prevent him from defending himself, it is reported that Caesar said: “Why, this is violence?” A barrage of dagger blows then followed, effectively killing Caesar on the spot. It was the attack from Decimus Brutus that triggered a response from Caesar. He counted Brutus among one of his confidants, and on the day when almost all his friends and family had warned him against going to the Senate, it was Brutus who convinced him to ignore their warnings and carry out his duty. The Senate conspirators went to great lengths to come up with a great plan that left no room for escape for Caesar. But the scope of their plot never took into account the different scenarios that would play out in the aftermath of the event. They were fairly confident that the fall of Caesar would bring about the resurgence of the Roman Republic. Right after Caesar’s brutal murder, Brutus tried in vain to calm down an enraged public which could not believe their beloved leader was no more. Things took a rather dramatic turn when Antony stood with Caesar’s robe in his hand at his cremation. The crowd could see the bloody shredded garment, and this further incited them to revenge. The flames of Caesar’s funeral were still burning brightly when a mob of angry citizens took off to burn down the homes of all those involved. In a few days, all conspirators had to flee from Rome to save their lives, effectively handing rule to Mark Antony. In the aftermath of Caesar’s death, Mark Antony scored an unlikely double win: All his powerful rivals were on the run and he was now touted to be the next champion of the people. 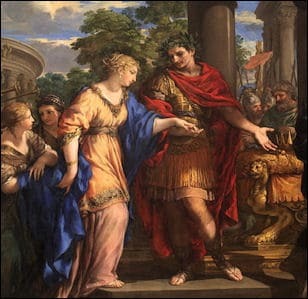 On the other hand, Caesar’s nephew Octavian was completing his academic and military studies in Apollonia when the news of Caesar’s murder reached him. He had been preparing to take a senior military command position in Caesar’s pre-planned campaign against the Parthians at an early age of 18. He immediately headed for Rome and, on his way back, learnt that Caesar had adopted him in his will, effectively making him the rightful heir to Rome. This further fueled his desire for revenge against the assassins. However, he was in for another shock when he arrived in Rome to find the power was now in the hands of Mark Antony and Aemilius Lepidus. But in due course, he started to earn the loyalty of Caesar’s legions and supporters. This set him on a path of direct conflict with Antony and Lepidus. 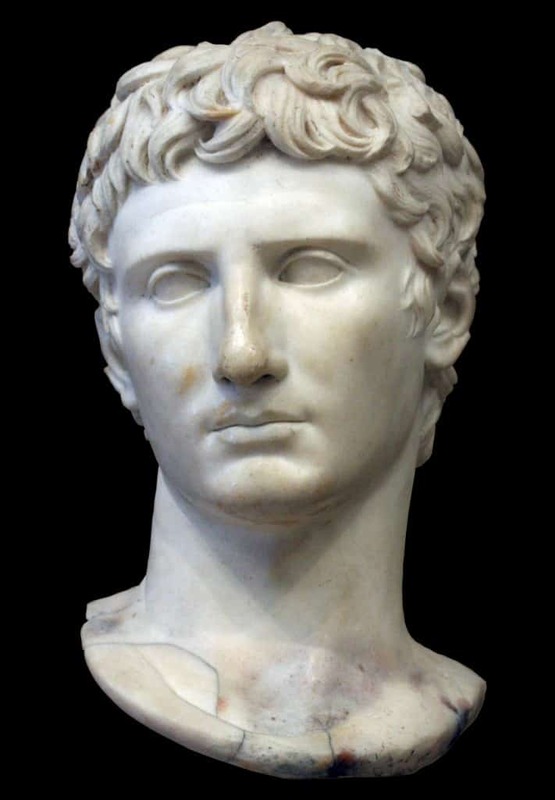 Finally, he fought Antony in the decisive Battle of Actium which he won and crowned himself Emperor Augustus of the Roman Empire. 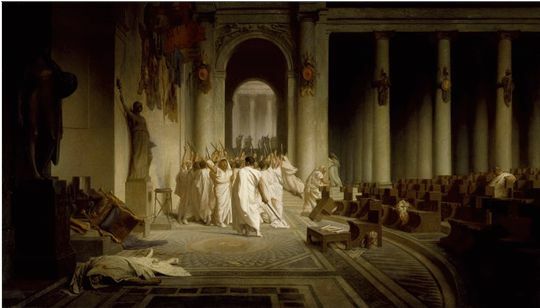 Ancient Roman history, or perhaps the history of Europe, could have been very different had Caesar not been assassinated on the Ides of March. Caesar was killed in the hope of rekindling the republican days of ancient Rome. But to the utter dismay of his killers, Caesar’s fall backfired on them with such consequences that the last remaining remnants of the Roman Republic were irrevocably replaced by imperial Rome. Some historians state that the Roman Republic might have survived for longer had Caesar not been dealt such an untimely death. Caesar’s death also clearly indicates that the Roman Senate was never going to stand for a self-declared dictator. Their tolerance of such an act could have led to a trend among subsequent heirs of Caesar to declare themselves dictators as well. More importantly, Caesar had planned a fully fledged expansion of Rome which he intended to start with the invasion of mighty Persia. This plan never happened. Had he lived to successfully invade Persia, historians believe that he had further aspirations to go even further than the boundaries that had previously been established by the likes of Alexander the Great. Julius Caesar is arguably one of the most influential figures of ancient Rome. He has been depicted in different form of art and culture time and again. 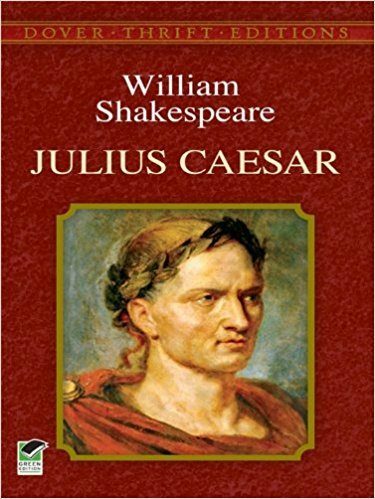 From ancient poems and recitals to works by medieval historians, the name of Julius Caesar reoccurs throughout literary history. Perhaps it was in the Shakespearean play aptly named The Tragedy of Julius Caesar where his name became truly immortalized. Although the tragedy detailed more of Brutus’ struggle to honor his friendship and loyalty for Caesar and his duty towards preserving the Roman Republic, the play’s enactment of Caesar’s murder mesmerized audiences. This Shakespearean play is still staged as an enigmatic piece of historical drama in modern theaters, and the action has also been depicted in various film and TV adaptations. 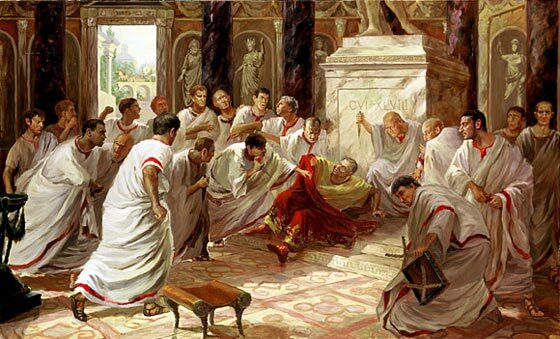 Without doubt, the assassination of Julius Caesar on the Ides of March is one of the most notorious events in the history of ancient Rome. It is also an event which led to huge repercussions and ramifications. The death of Caesar caused such ripples across contemporary Rome that the very foundations of the Roman Republic were shaken to pieces, only to be replaced by the new imperial Rome. However ghastly the death of Caesar was, it truly opened the door for a far more stable Roman Empire and the eventual flourishing of the Augustan era.